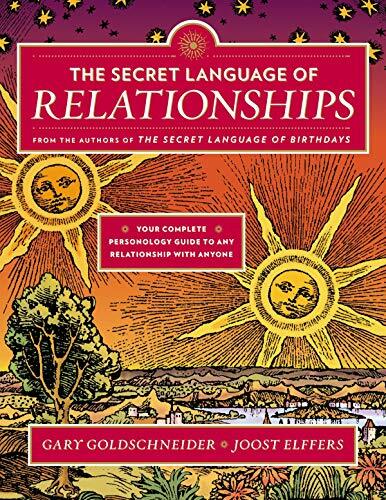 The Secret Language of Relationships shows how astrology can craft a relationship profile between any two individuals born during any two weeks of the year. The result is an indispensable guide to getting the most out of every relationship. The bestselling companion book to the groundbreaking The Secret Language of Birthdays, The Secret Language of Relationships offers a fascinating look into why we are drawn to certain people. Goldschneider divides the year into 48 “weeks,” showing the personality traits for each period. With an amazing 1,176 combinations of personalities, you can better understand any relationship in your life. Beautifully illustrated and designed, the Secret Language series is sure to delight a new generation of astrology enthusiasts and all people who are interested in better understanding themselves and the people around them. If you have any questions about this product by Penguin Putnam, contact us by completing and submitting the form below. If you are looking for a specif part number, please include it with your message.